Posted on Monday, April 16th, 2018 at 11:03 pm. At $2.64 per gram, Cane Creek’s, 400 gram, $999 titanium crank is definitely not an item that you’ll see on all your buddies’ rigs. But who cares, this brushed titanium beaut is as hot as it is different when just about everyone else, minus Shimano, makes theirs out of carbon fiber. It’s more than the materials used or its weight, however; Cane Creek claims these 30mm spindled, mountain bike-specific eeWings are 20% to 30% stiffer and will take your unintended abuse (don’t they all?) like a champ where carbon fiber equivalents are likely to break. The eeWings also come with a 10-year warranty for extra peace of mind too. Now where is the road version? Posted on Sunday, December 3rd, 2017 at 9:23 pm. Some of us go to great lengths to slam that stem for oh so many reasons 1: OH BECAUSE IT LOOKS SO PRO BRUH and 2: because some actually need it to make things fit. If you’re in those categories, Cane Creek is now shipping their SlamSet headset that is made to have the lowest stack height… as much as 2mm for Zero-Stack headsets and and 4mm for the IS (Integrated System). 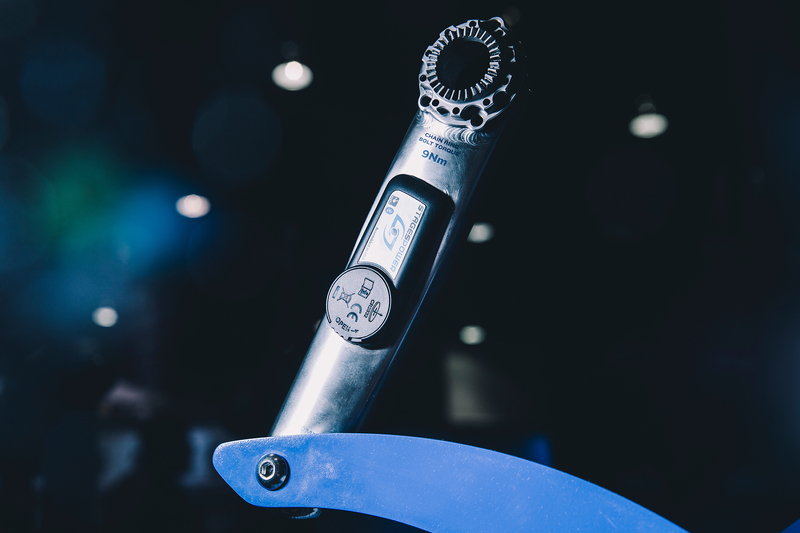 To shave away the extra height, Cane Creek redid the upper assembly and reduced sealing materials compared to a standard headset. However, Cane Creek was able to make up for the performance with the introduction of their new stainless-steel Hellbender (it’s a salamander… just like the company logo) bearing that is said to be more durable when exposed to the elements. The SlamSet is available as a solo upper bearing assembly in IS41, IS42 and ZS44, or as a complete headset with lower assemblies in EC44, ZS56, and IS52. Prices start from $49 for a IS41 top to $119 for a complete tapered headset in ZS44/ZS56.